Ever wondered on how Nokia connects people? It’s because of innovations they deliver to people. Like on their new services the Nokia Messaging and Ovi Maps which brings us connected. But it’s still incomplete if there are no devices that will aid these services. And that’s why they bring up the Nokia C3 and E5. They are more than just a smartphone. These new devices are one of its cheapest that Nokia is offering. The C3 is the substitute for those who needs multimedia and messaging at their fingertips and of course at the cheapest from the flesh of the E63. As the fair approach there’s still a Nokia C5 and C6 for all of us to choose from. While the topnotch of the business solution is yet to come to its lowered price but not in the specs. 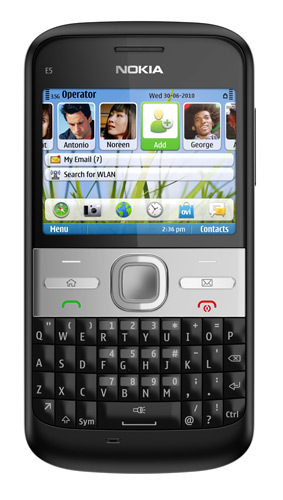 As the Nokia E5 will finally the first to refresh the line up for Enterprise series of Nokia.